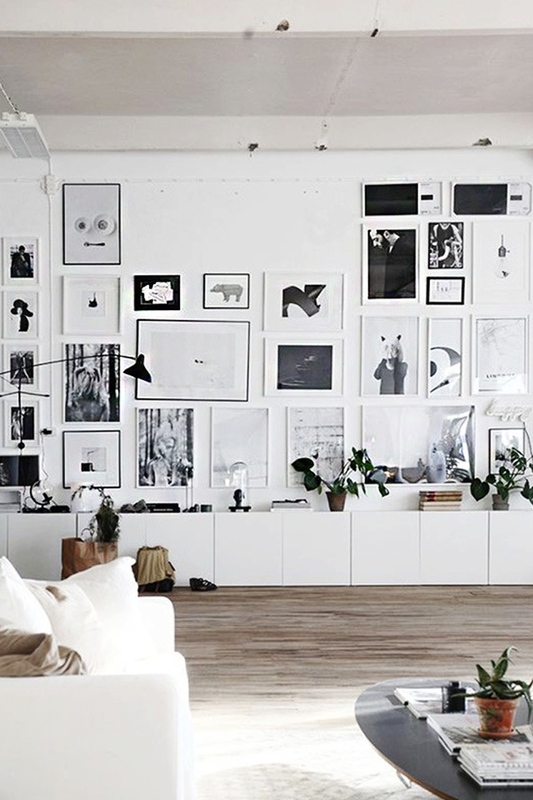 I have been searching for gallery wall inspiration on Pinterest for a while now. 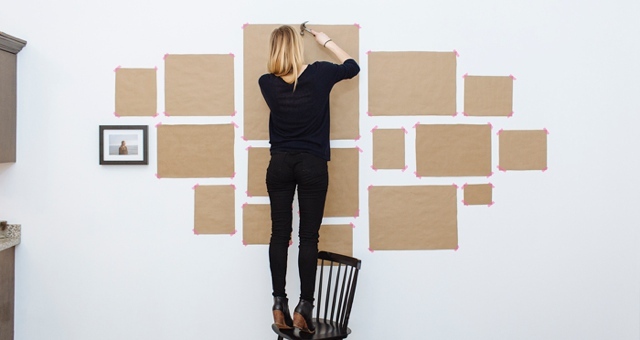 I was really eager to learn how to hang a gallery wall the right way. 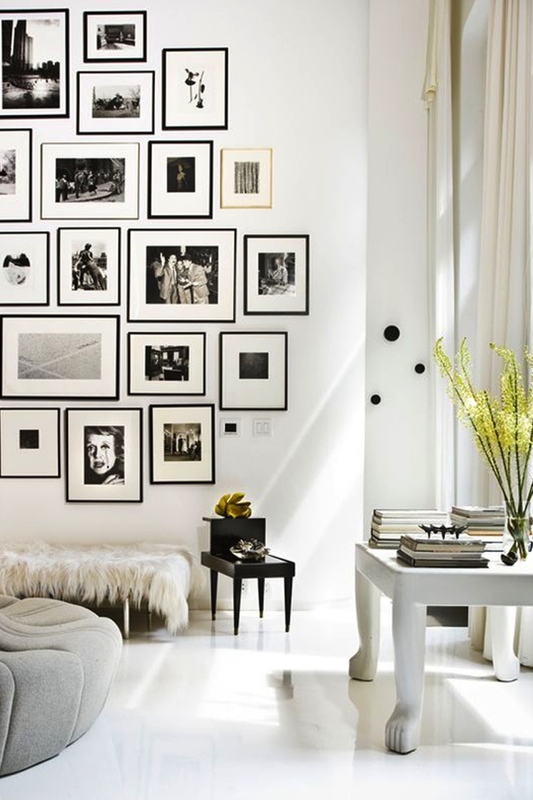 Check out the secrets of hanging a stunning gallery wall. How to do the plan? You don’t want to end up with extra holes? Right? Buy some craft paper from your local arts and craft store, and trace each frame you want to use onto the paper and trim to size. As you follow the rest of this how-to, tape your craft paper cutouts to the wall with painter’s tape until your gallery wall is perfect. Then go ahead and hang the real pieces. You can create balance by varying the size and orientation of your art pieces. Including vertical, horizontal, and square art will ensure your gallery wall looks balanced. Alternatively, you can shop a set of 9 frames like this one from Target ( they are shipping internationally 🙂 ) or use exactly the same size frames. 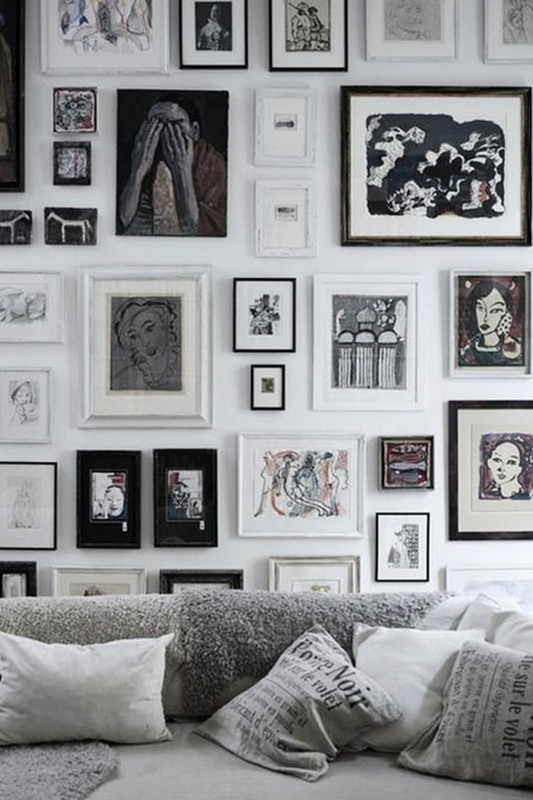 How big should be the gaps in your gallery wall? The magic number seems to keep your art work frames 3 inches apart. Try to keep all gaps equal. Even though it’s not necessary that they are all exactly the same, it’s better to stick with the same concept. Make sure the frames you choose for your art pieces are within a color palette. You can find a big selection of frames reasonably priced here and sold in sets here. However, the real key to a stunning art gallery is great ART. That said, I have a ton of amazing family photos …. they are like art to me.. 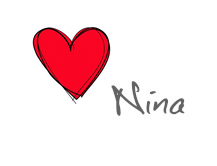 Such a great post! I really want to create a feature wall! I love having a wall gallery of family and friends…it takes you down memory lane. Happy framing! Me too… I have done it with black and white photos ….